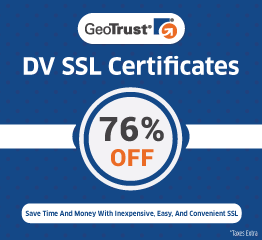 With the ever growing concern about security in website transactions, getting an SSL Certificate has become a vital duty for every website owner. 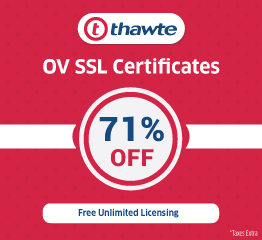 Be it your own website or a shared web server that you use, you need to get an SSL Certificate in order to ensure enough trust and reliability for your online presence, and more importantly for your customers’ safety. In this context, we will discuss comparison among various types of SSL Certificates and their pros and cons, so that you can choose the suitable one that caters to your particular need. 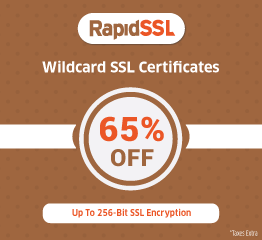 It is at par with Dedicated SSL Certificate when judged in terms of security. Your name will not be there on the Shared SSL Certificate. The merchant who originally bought the certificate and with whom you are sharing it with, his name appears in the Shared SSL Certificate. This might pose a problem for you if you are an online shopper or e-commerce website holder. This one causes a certificate warning message, popping up on your website every time. The reason is your website’s hostname will not match with its original domain name. If the shared IP address gets blocked, your website would be having the chances of getting blocked automatically along with it. Your website URL will look natural, and not weird (for example, https://yoursite.com/). You can determine your URL by yourself, either as a registered domain or as a sub-domain of your website’s domain name. You own the certificate. The Dedicated SSL Certificate is issued explicitly for the use of your domain name by the trusted Certificate Authorities (CA). This does not cause any warning message. This is dedicatedly linked to your site’s IP address. So there is no possibility of getting automatically blocked if any other site’s IP address gets blocked. As the name suggests, it is free. This one comes with only Domain Validation (DV) option, which provides a preliminary level of authentication. It is only suitable for small-scale websites and personal blogs. The validity period is shorter, usually 30-90 days. Thereafter, you need to renew the certificate. No warranty, no customer support. This one comes with Organization Validation (OV) and Extended Validation (EV) options. It is suitable for protecting business websites which has a good amount of transactions. The validity period is longer. Usually, it lasts for 1-3 years. Round the clock support and backed by warranties. It is obvious, this it is not free. More than one website can use it. It does not bear the risk of Wildcard. Nobody can gain unauthorized access to your certificate’s private key. More number of SAN (Subject Alternative Name) fields you add to the certificate, the larger the certificate becomes which consequently slows down the performance of your site. While securing multiple websites belonging to different organizations, this type of certificate faces certain issues. The certificate identifies only the CDN operator. It cannot identify any other organization. Any website within a particular domain name in the certificate can use it. It is easy and convenient for managing multiple websites. It bears potential threat. Anyone can gain unauthorized access to your certificate’s private key and can set up a malicious website that you are not aware of. You can Visit our website to Compare SSL Certificate Price or Request a Callback and our Support staff will help you.